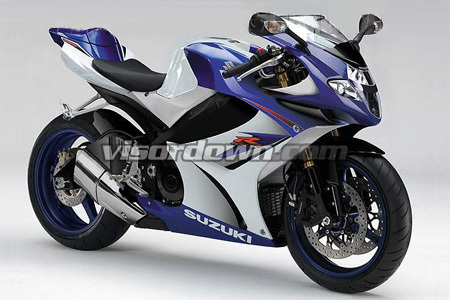 YESTERDAY VISORDOWN was sent this image of what's supposedly the new 2009 Suzuki GSX-R1000, which has been recently seen doing the rounds on the internet. After chatting with Suzuki UK we can confirm the image is false. No doubt the fake image will dupe many around the world, but it's not real and we have Suzuki's own people to thank for debunking this for us. Now put that chequebook away and stop crying.